Repetitive Strain Injury (RSI) is a potentially debilitating condition resulting from overusing the hands to perform a repetitive task. 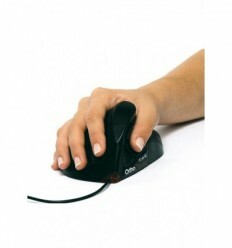 A pre- existing condition such as arthritis, lymphodema or an old injury can increase the incidence of pain in the forearm wrist and hand resulting from computer use. This we can do nothing about our pre-existing condition but there is something we can do to prevent and relieve the pain resulting from computer use. The way we work has a big effect on whether we will suffer from wrist and arm pain. 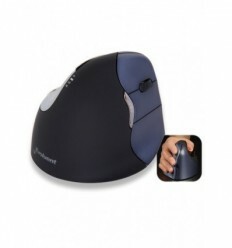 Pain in the wrist and arm pain can be prevented and relieved by using ergonomic mice, and ergonomic keyboards. 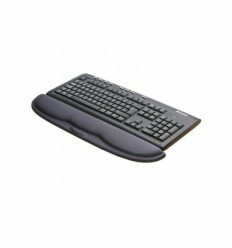 An arm support to rest your fore arm will help relieve strain. 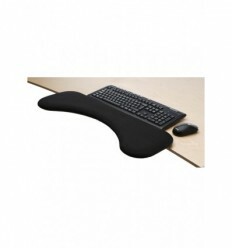 An arm support to rest your fore arm will help relieve strain. 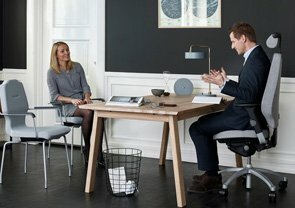 According to Swedish survey conducted in 2009, 47% of computer users experience occasional discomfort and 24% suffer regularly recurring problems. RSI in the workplace, including, but not limited to tendonitis and carpal tunnel syndrome, have risen to pandemic proportions during the past 5 years. Without even considering the worldwide costs, the United States alone spends more than $100 billion annually. These annual expenditures include: lost time from work, job retraining, light duty restrictions, employee replacement / fill-ins, rehabilitation, surgery, medications, increased insurance premiums, lawsuits... and many other factors. Even with these tremendous costs to businesses, individuals, government and taxpayers the problem continues to be ignored, resulting in even greater number of workplace injuries and overall costs. “Musculoskeletal disorders” are the country’s most costly category of workplace injuries and illnesses. In addition to spending $20 Billion annually on workers’ compensation costs due to RSI, the US spends another $100 billion on lost productivity, employee turnover and other indirect expenses. Help avoid and reduce neck, shoulder and upper body strain. 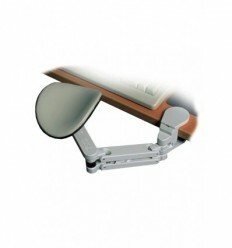 This ergonomic armrest gives support to the whole arm, not only to the wrist. 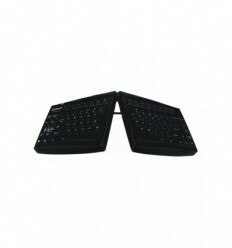 An ergonomic split keyboard that will help aleviate undesirable awkward postures while typing. 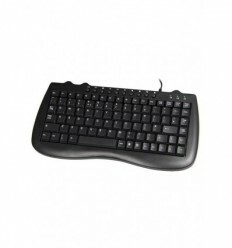 A proven design and years of longevity make the standard Goldtouch Adjustable Keyboard a leading recommendation among Risk Managers, Certified Professional Ergonomists, Physical Therapists and Occupational Therapists. 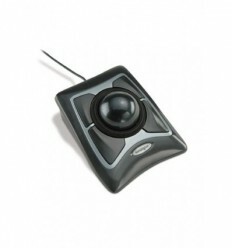 This Trackball Mouse has a large 55mm ball for maximum precision, control and comfort.An ambidextrous mouse for left or right-handed users.An ergonomic mouse that will save time and increase productivity with the award winning click free Scroll Ring®.A trackball with Optical DiamondEye technology delivers superior precision. 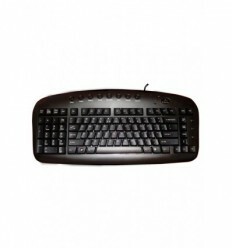 Wrist support filled with high quality gel - soft and comfortable.This Gel wrist rest provides good support for the wrist when using the keyboard, without obstructing hand movement. Sits still even on sloping tables. 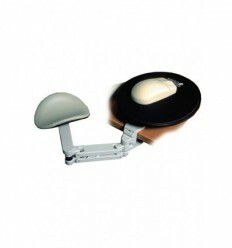 Helps avoid and reduce neck and shoulder strain.